No matter whether it is done due to a virus or malware, or just accidentally hitting the delete button, deleted photos recovery from a Samsung phone or tablet might be the number one priority when getting access to the Internet the next time and searching for a solution. 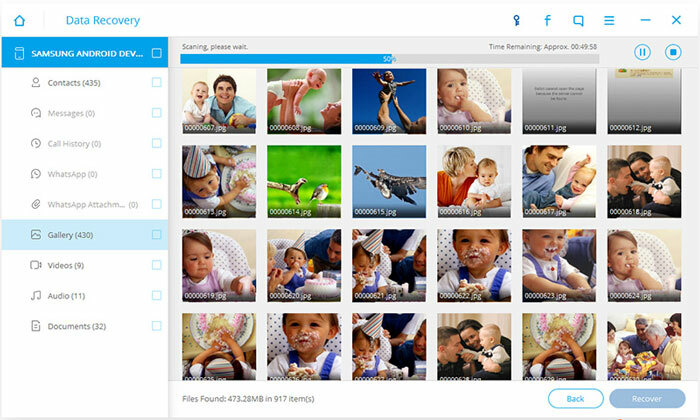 Here we offer a simple and easy recovery solution for Samsung (and all other Android) deleted photos. The first thing to do (or in fact not to do) on a Samsung (or any device) phone or tablet with deleted photos is not to do anything which involves data manipulation. Copying new documents or files to the memory, or taking a video or photos are just the main examples. The above measure is required so that the recovery software will be able to retrieve deleted files and images from the memory. This is the case for all Samsung phones including Galaxy S7, Galaxy S6, Galaxy S5, Galaxy S4, Galaxy S3, Galaxy S2 and Samsung tablets such as Note 5, Note 4, 3 or Note 2. In fact, most of the information provided in this article for data recovery could be applied to other Android devices as well. Before installing any application (and probably going further with any purchase which might be unnecessary), memory card used in the Samsung device or its own internal memory should be double-checked to be sure about the photos deletion. 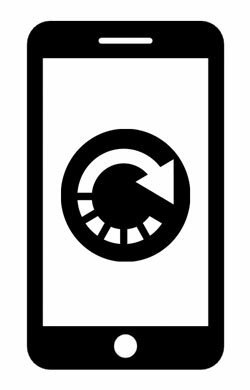 In case the photos are erased for sure and using a Samsung photos recovery application is required, just read on this tutorial to undelete the data. 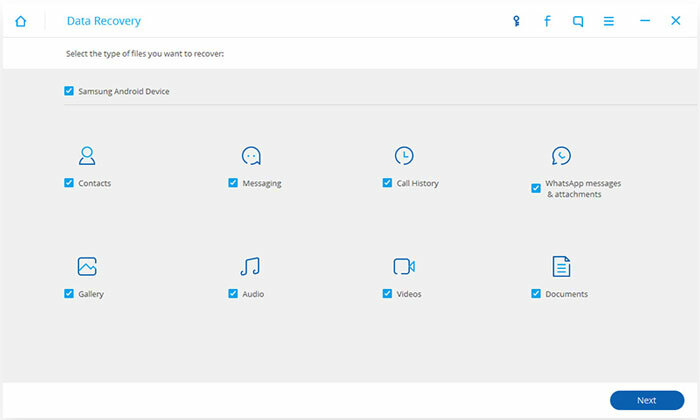 dr.fone is a powerful application used by hundreds of thousands of people around the world, which supports more than 6,000 devices including Samsung phones and tablets. This recovery program has been reviewed before on this website (dr.fone review), and comes with so many useful features. But the main option which we focus here is its ability to recover deleted photos from Samsung devices (Such as Samsung Galaxy S6 or Note 4). The first step in retrieving deleted images is running the dr.fone software on the system (compatible with both Mac OS and Windows). 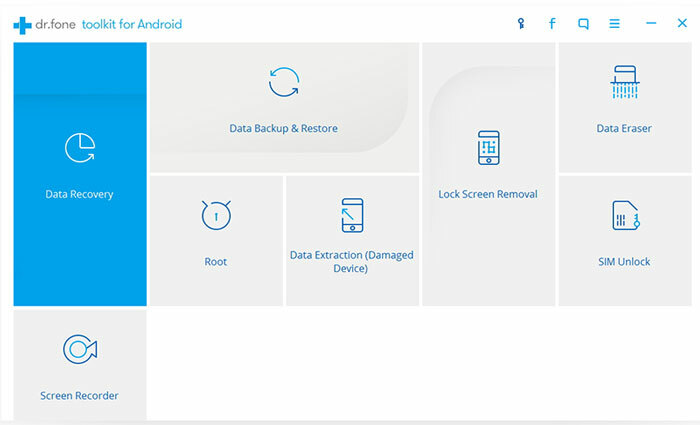 From the options provided on the application’s window select the “Data Recovery.” Next, it is time to use the USB cables to connect the phone or tablet (Samsung or other Android devices) to the computer. Sometimes, before the program starts scanning for deleted data, it needs the device to be debugged. This process is very simple. In fact, the program would guide users in this case to complete the task by displaying easy-to-follow instructions. 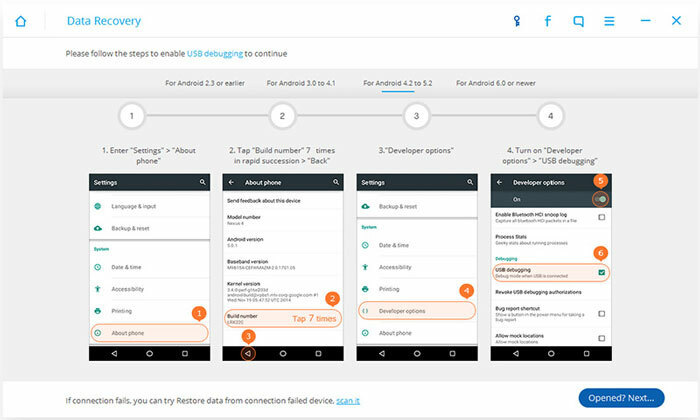 Samsung device detection would happen after the debugging process – if necessary – has finished. Then, it’s time for the deleted data (such as pictures, videos, messages, etc.) to be found by dr.fone program. Users could also select the file types which they want the application to scan for. For instance, for the purpose of this article, the “Gallery” would be a suitable selection. That’s because it tells the recovery software to search for erased pictures on the Samsung device. Once, the needed items are selected, click on “Next” button. As displayed in the screenshot below, available photos which could be undeleted from the device would be shown to users when scanning process is finished. Choosing the “Recover” option would simply take back the deleted photos to the computer once the needed items for recovery are selected from the window. After the recovery process is completed, it is strongly recommended to install backup apps for Samsung devices or backup software on the system to prevent future disasters similar to the one just happened.